After more than 30 years’ reform and open, China has taken the 2nd place of the world economy. More and more foreign companies are paying attention to Chinese market and want to invest or do business in China. On the contrary, more and more Chinese companies are going aboard to look for more business opportunities. 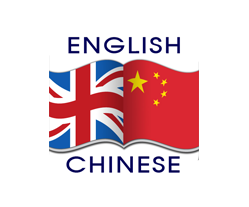 Therefore, the demand for translation between Chinese and English is increasing rapidly. With my career background in trade and marketing, I can provide best translation service to assist your business expanding.